Dentistry has always been a passion for Dr.Jacob. Dr. Jacob continues to learn and perfect his skills through continuing education with a focus on Implant dentistry. He achieved a ‘Master of Public Health’ higher degree from Deakin University. He has experience in a broad spectrum of dentistry such as dental implants, cosmetic dentistry, rotary endodontics and sleep splints. 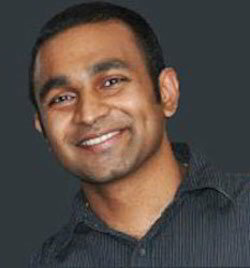 Dr.Jacob has been practicing in Western Victoria since 2007 after moving from Melbourne. After gaining vast experience in private practice as a general dentist Dr. Jacob has attained his Post Graduate Diploma in Clinical Dentistry (Implants) from Melbourne University. He has experience in world’s leading implant systems including Astratech, Straumann, Nobel Biocare and 3I. Dr Jacob is a member of Australian Dental Association and Australasian Osseointegration Society.Dr.Jacob is also involved in teaching Dental students from Latrobe University. Dr.Jacob loves all sports and is a big fan of AFL and Cricket.